Get close to the unique Thai culture, its always smiling people, and some of the amazing lifestyles that people live through Buddhism and other ancient beliefs. We will also visit a Turtle Sanctuary with young and old turtles. Sightseeing from a long-tail boat and getting up close to the limestone formations from a canoe. Visiting a fishing village on stilts with a floating football field. Get really close to one of the oldest rain forests in the world. A great day out with jungle trek, jungle coffee, in the jungle, and an amazing trip down Sok River on a bamboo raft. 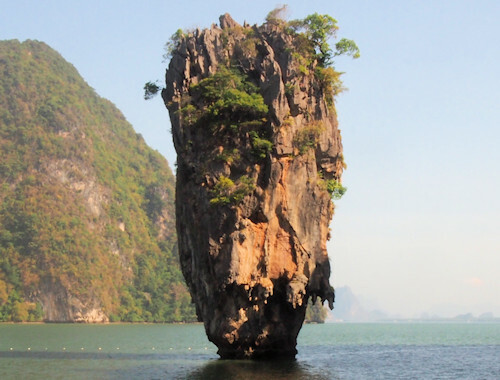 Book your James Bond Island excursion Here. A great opportunity to get closer to the Thai people and the Thai way of life. 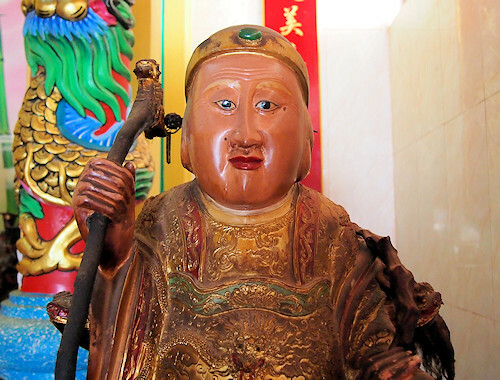 We visit an amazing temple by the sea, a Chinese inspired shrine where many of the local festivals are originating from. We also visit a turtle sanctuary where the turtles are take care of from when the hatch until they are old enough to being set free into the Andaman Sea. Book your Thai Village Excursion Here. Cheow Lan Lake came to life in 1982 when the Ratchaprapha Dam was raised, the size of the lake is about 165 square kilometers, it is all part of Khao Sok National Park located in the province of Surat Thani. With its 739 square kilometers Khao Sok National Park is known for being the largest virgin forest in the area just about 80 km north of Khao Lak. Book your Khao Sok National Park Excursion Here. The Khao Lak Explorer excursions are some of the tours that not many people know about. Visit the amazing mangrove forest ecosystem which is absolutely untouched by man. More than 60 sq.km of tropical climate experienced up-close from a long-tail boat and kayak. There are three types of mangrove forest explorations to choose from. 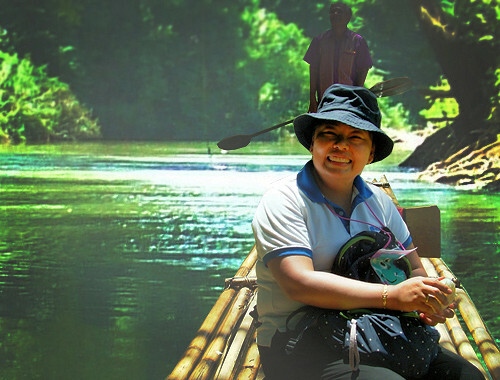 Book your Khao Lak Mangrove Excursion Here.